MBLC Blog – Page 4 – News, updates, and musings from the Massachusetts library community. 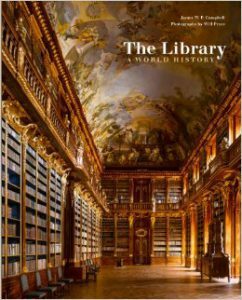 As libraries have evolved over the years, so have the ideas of what they should collect and lend to their patrons. A visit to your local library today will offer so much more than books. It’s not anything against books, I promise. Sometimes the best way to meet a need is with something that’s a bit outside the book shelf. Libraries have always made it their mission to make information accessible to all. To keep up with that goal, you have to be aware of how people are getting their information. Many libraries lend out broadband mobile hotspots. This device enables you to access the internet for free from any location. Internet access is vital in today’s world. Options like being able to borrow a mobile hotspot can help fill a gap among users. Learning and libraries are natural partners. And sometimes the best way to learn is hands-on. With help from an LSTA grant, the Middleborough Public Library created STEAM backpacks and teacher kits you can take home. Are you on an astronomy kick? You can check out the night sky with a telescope from a nearby library. By approaching learning in an innovative way, libraries can provide additional means for exploring what interests you. Libraries provide rich cultural and educational opportunities, both inside and outside their walls. 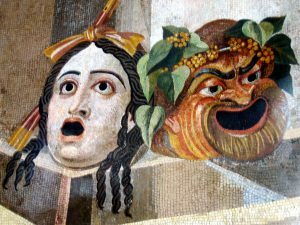 One very popular and longstanding option you may already be familiar with is a museum pass program. Sign up at your local library to borrow a museum pass and get discounted or free admission to area museums, such as the Museum of Science or the Museum of Fine Arts. The Department of Conservation and Recreation ParksPass is also available at many libraries. This pass gives free parking at more than 50 facilities in the Massachusetts State Parks System that charge a day-use parking fee. Offsetting the cost of visiting these great places allows these experiences to be more accessible to a wide variety of people. The option to try before you buy is another reason for offering a non-traditional collection. Want to test out your ukulele skills? The Forbes Library in Northampton has a variety of musical instruments it lends to card holders. Now you can practice at a basic level before making the jump to buy that banjo. The upstart cost of activities can make them out of reach for many individuals. Lending items like musical instruments helps break down these barriers. The unique collections available can help you by providing items you’d use occasionally but you don’t want to (or can’t) store. Borrow a sewing machine from the Cary Memorial Library in Lexington when you have some mending to do. Get some friends together and ham it up with Reading Public Library’s Karaoke Machine. Bake all the cakes with the help of Brookline Public Library’s cake pan collection. 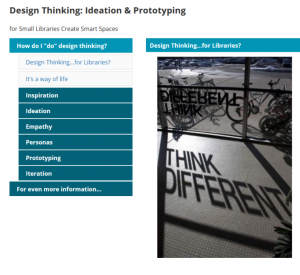 By expanding the idea of what to lend, libraries take resource sharing to a whole new level. Libraries strive to provide a place to explore ideas, connect individuals and groups, offer cultural and educational experiences, foster creativity, and enhance lives. With such lofty goals, you can see why today’s library goes beyond books. The town of Chilmark on Martha’s Vineyard was once known for its larger than average population of traditionally Deaf residents. Decades ago, in the Squibnocket area of Chilmark perhaps as many as a quarter of the population was Deaf. On this part of the island, almost one out of every 25 people was Deaf compared with the national average of one in 5728. Today members of Deaf community may choose to communicate through American Sign Language (ASL) but in past decades a Chilmark a variant known as Martha’s Vineyard Sign Language (MVSL) was practiced by both Deaf and hearing members of the community alike. The Chilmark Free Public Library maintains a fascinating record of this unique community in their historical archives. As it turns out, The American School for the Deaf (ASD) founded in Hartford CT in 1817 included many students from Martha’s Vineyard who used MVSL as their primary form of communication. Chronicled in Nora Ellen Groce’s scholarly but accessible book Everyone Here Spoke Sign Language, up to a few decades ago Chilmark was something akin to a Deaf utopia where both Deaf and hearing members of the community freely used sign language as a primary communication vehicle. People moving into Chilmark from the outside often ended up learning MVSL in order to fit in and indeed there was high acceptance of this communication tool. Most important in examining this fascinating story is the truth that being Deaf was never considered a handicap. However, over a seventy-year span, members of the Deaf community began to attend off-island schools, got married and settled in other places so that eventually many of these Vineyard natives either left or passed away. This absorbing piece of cultural history can be further explored through newspaper and magazine articles, a recent YouTube video and the archives of the Chilmark Free Public Library’s historical archives. 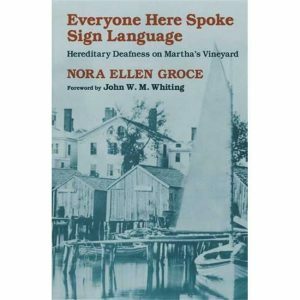 Groce, Nora Ellen .Everyone Here Spoke Sign Language: Hereditary Deafness on Martha’s Vineyard. Harvard University Press, 1995. Kageleiry, Jamie. “The Island That Spoke by Hand” . Yankee. Mar 99. Vol 63 p.48. This bl og post was written by former MBLC Director Dianne Carty. Dianne retired on June 2, 2017. Recently it was suggested to me that I write a good-bye blog post. Any number of clichés immediately popped into my brain, such that I could not write anything without cringing at my own words. There is never a good time to transition out of a job as critical as Director of the Massachusetts Board of Library Commissioners. I know that until the last minute of the last hour on my last day, there will be some communication or some issue that needs attention. It will be difficult to let it go, to let it be. As I look at my time at the Board of Library Commissioners, it is not just the past few years that are foremost in my reminiscence, but the many years I spent digging into and shaping the State Aid program, advancing the collection of data for libraries to use and working with some incredibly wise, creative and committed people at the MBLC and throughout the library community. These last four years have been exceedingly full of activity and opportunity. Of particular note are the Strategic Planning process and the review of the State Aid to Public Libraries program. Both of these endeavors are near completion and promise to result in a more collaborative approach to programs and services for the library community of Massachusetts. I was extremely fortunate to be in my current position when the MBLC reached the 125 year milestone two years ago and to be part of the celebration. 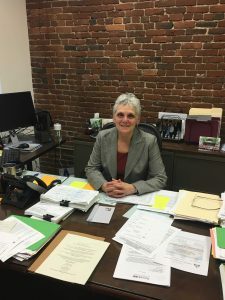 In recent years existing partnerships were strengthened and new connections formed, including the Social Law Library, the Massachusetts Commission on LGBTQ Youth, the Department of Children and Families, the Kennedy Library, and the Massachusetts Coalition for Serious Illness Care. The MBLC opened another Public Library Construction grant round and received 33 applications that are near the end of the review and selection process. It has been a speedy four years and I am so very proud to have been part of the MBLC during this time. We at the MBLC are about libraries, but ultimately we are about unfettered access to information by all residents of the Commonwealth. I am proud to have served at the Board of Library Commissioners in several capacities. Let me underscore the verb to serve—for that is what government work is—it is service to people and service that ensures access to information remains open and free for all people. Libraries are the instruments of democracy; we in the library community have much work ahead of us. And with this work we also have the opportunity to create and to lead a way through the present into the future. The completion of the Board of Library Commissioners’ Strategic Planning document will be the start of the realization of a new way forward. It is difficult for me to put words to paper or verbalize my emotions. 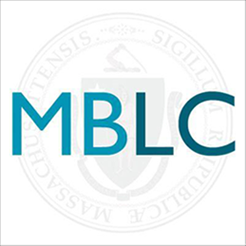 My years at the MBLC have meant continual growth for me and gaining a deeper understanding of the complex, living organism that is Massachusetts and its library community. It is now time for another to enjoy and experience the fulfillment and gratification that comes from being at the MBLC and working with all levels of government and the library community. This experience will be with me always.